To order an embossed notebook with a name or message on the opening edge, enter text in the box above and place your order. The characters are typeset from molten metal on one of the world's last operational hot metal typesetting machines. The notebooks are embossed on a heated press to create a beautiful and permanent impression and stylishly wrapped in thick brown paper for next day delivery. 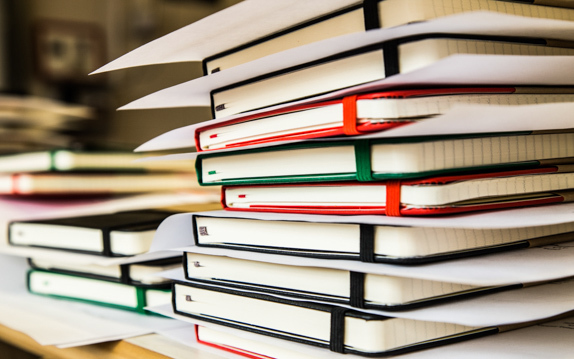 For notebooks embossed with a logo or other branding, the minimum order is 25 - either a single colour or mixed colours. More information is here or get in touch by email - [email protected]. 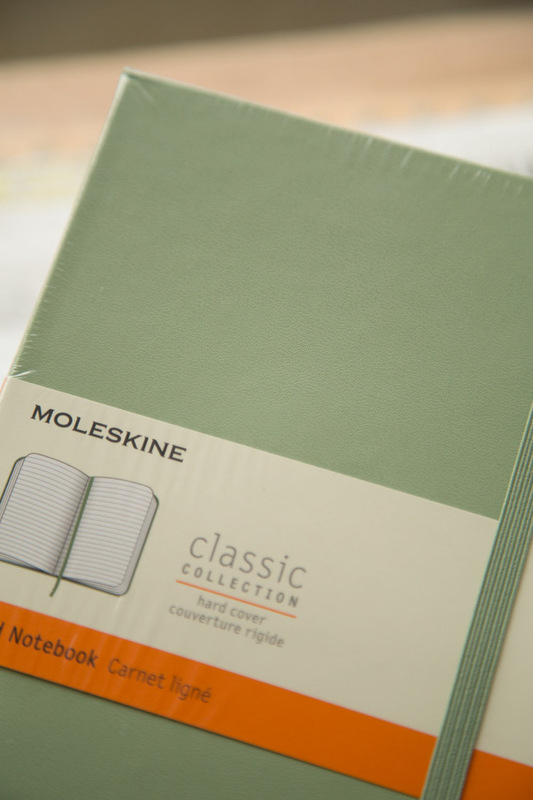 The Moleskine pocket notebook measures 90mm x 140mm, and has 192 ruled pages of 70gsm acid free paper. The notebook has a hard cover and rounded corners for protection and an internal rear pocket. Both the elastic closure and woven ribbon bookmark are in willow green to match the cover.